“Maybe” is a podcast series inspired by individuals who are tackling critical issues and challenges in communities across Canada. Specifically, it’s about people who have participated in a very special program called Getting to Maybe ~ A Social Innovation Residency. The residency program happens annually at Banff Centre, situated on the slopes of Sleeping Buffalo Mountain in the beautiful Rockies. We wanted to tell the stories of the work these amazing people are doing to address urgent social and environmental issues – they are inspiring system entrepreneurs who are dedicated to working with others to make change that might seem impossible, possible! Our hope is that these stories are encouraging, illuminating, and useful to the collective efforts of the many, many individuals and organizations who work to make our families, our communities, our countries and our planet more just, caring, healthy and resilient. 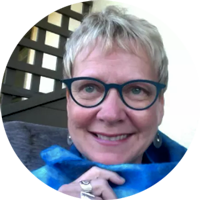 Cheryl lives in New Westminster, BC and has worked for more than two decades as a teacher, trainer and coach for individuals and organizations that are working for social system change. 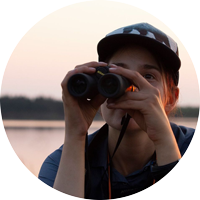 She considers herself a Story Guide, Story Gatherer and Story Teller. She supports the unfolding of social change makers’ stories through education and coaching, connects stories together to enhance impact through networking of all kinds, and tells these inspiring stories at every opportunity. For a more complete bio and information, please visit her website. 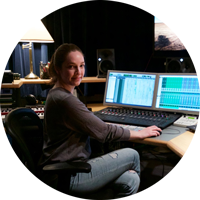 Esther Gadd is a sound designer, editor, and audio post engineer based out of Vancouver, BC. Esther studied audio engineering and music production at Harbourside Institute of Technology in North Vancouver. Shortly after graduating, she was chosen to complete a work study program at Banff Centre for Arts and Creativity, where she spent a year refining her skills in Audio Post Production and embracing the beauty of nature. Esther is excited to continue working with clients who are passionate about changing the world, one production at a time. Molly is instrumental to this team as a coach, teacher and mentor – sharing her extensive experience and wise advice on how to best tell a story through the podcast medium. For more on her own professional journey, please visit her website. SEF is committed to lasting change by supporting transformative organizations and convening partners around critical issues for our communities. We’re grateful for SEF’s encouragement to tackle tough questions and realities, as well as for their generous financial support which makes the production and distribution of these podcasts possible. For more information, visit the Foundation’s website. All abstract artwork images by Steve Johnson via Unsplash. See his work at artbystevej.com. Banff Centre is a champion of arts and creativity, and Banff Centre Leadership programs prepare and empower leaders to make an impact in a rapidly shifting world. Our programs integrate the power of the arts, the wisdom of Indigenous practice, and the extraordinary beauty of Banff National Park. Visit the Leadership Programs website. Banff Centre Leadership Programs are a proud sponsor of these podcasts and program alumni are featured in the Maybe episodes..